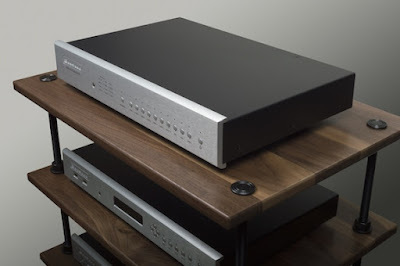 Wow factor: an even better Bryston DAC! I have reviewed Bryston’s earlier BDA DACs over the last few years and, as expected, they were purveyors of impeccable high-end DAC performance — at a rather mid-price point for a high-end, audiophile D/A. The latest BDA-3 is the best one yet. Although you don’t get a preamp or headphone amp, the BDA-3 decoding quality is in the upper-tier of audio D/As and will impress the listener who likes his audio in an accurate, yet smooth, open, dynamic presentation. Utilizing the latest high-end AKM D/A chip the AKM AKM4490 and Bryston’s discrete analog path, you get excellent decoding of PCM up to 32/384 and up to DSD 256X. The attractive-looking, full-rack, BDA-3 DAC sports oodles of connection options including SPDIF via coax/TOSLINK. AES/EBU, USB and HDMI. The BDA-3 is not a preamp, thus, level is fixed, making it an extraordinarily clean DAC to mate with your chosen preamp, and/or headphone amplifier, such as the bang-for-the-buck leader: Bryston BHA-1. The Bryston BDA-3 is the best-sounding DAC the company has ever made and is one of the most open, accurate D/A converters on the market. Couple the pristine sonic character with the plethora of connection options, and you got yourself one mighty fine piece of hi-fi gear. The BDA-3 is easy to operate and has a simple, but elegant, front display. It contains 12 physical buttons: Upsample, Optical, HDMI 1, HDMI II, HDMI III, HDMI IV, SPDIF Coax I, SPDIF Coax II, AES/EBU, and USB1/USB2 input selections and the power switch. Around back are the four HDMI inputs (plus an HDMI pass-through output), two 24/192 SPDIF (1X RCA jack and 1X BNC), a single TOSlink (24/96 max only) input, 24/192 AES-EBU balanced XLR input, and the two USB jacks for USB1 (24/96), and USB2. The latter allows up to 32/384 PCM and the DSD 11.2 MHz compatibility (256x). There are two sets of fixed analog outputs: the -10 dB unbalanced RCA L/R, as well as a pair of pro level XLR L/R outputs. The heart of the BDA-3 is the balanced pair of AKM4490 D/A chips — a recently released D/A converter circuit that offers outstanding subjective performance and great specs — more than -120 dB signal-to-noise ratio. The newest AKM chips offers a near ideal balance of smoothness, yet realistic, dynamic upper-frequency energy with fast, tight bass. It nets the audible ease (maybe even exceeds) of the popular ESS chip line of of D/A’s, but does not lose its transient punch (though the new signature ESS D/A chip has ratcheted up its dynamic performance as well). You combine the performance of the AKM4490 with Bryson’s discrete, Class-A analog output stage, independent analog and digital boards, and quality independent power supplies, and it makes sense why the BDA-3 sounds so good. The 1.5 RU space high, full-width BDA-3 measures 3.63” H x 17” W x 11.12” D (with the 17" Faceplate). The weight is 8.5 pounds. Colors include silver and black. There is an optional remote control for input switching, power and switching in the upsampling. The silver-finished BDA-3 arrived factory fresh, so I placed it into my primary audiophile rack for a couple of days of burn in. As luck would have it, I had another DAC in for review the TEAC UD-503, which also utilizes the AKM4490 chip, and a few other DACs, including the Mytek Brooklyn and Benchmark DAC2-DX for comparison. The first thing you notice with the Bryston BDA-3 (and its predecessors) is that they are atypical of many hi-fi DACS — in that they have no preamps or HP amp. So there is no volume knob. The front panel contains separate buttons for all its inputs, and there are numerous sample rate LEDS — along with DSD status — and digital lock status LEDs. It could not be easier to plug into the desired BDA-3 input and connect the balanced or unbalanced output to your preamp or HP amp. Bryston makes several potential preamp mates for the BDA-3 including the BHA-1, which is a value leader for HP amps. I used the DAC in three different configurations: as the main system DAC with preamp, amp and speakers; as an audiophile DAC for headphone listening with the BHA-1 HP amp; and in my home recording rig utilizing the BHA-1. The audiophile rig consisted of MartinLogan Montis electrostatic speakers, and, at different times, a Rogue Audio Medusa digital/tube hybrid amplifier, Bryston 14B-SST amplifier and a Pass Labs X350.8 amplifier. 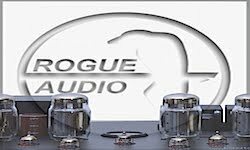 Line preamps included the Rogue Audio RP-5 tube pre, and a Coda High Current solid state preamp. Sources included the Oppo BDP-105 universal player, Macbook Pro with Audirvana Plus software, and my self-configured, budget streamer/players: a Dell Venue 8 Android Tablet with USB Audio Player Pro. All interconnects were Wireworld Eclipse premium cables, including the analog and digital, and speaker cables. All components were plugged into the AC using Essential Sound Products Essence Reference II cables and power strip. Having heard an AKM-chip based DAC, such as the TEAC UD-503, and various Heigel DAC’s, I was curious about what spin Bryston would put on that chip with the BDA-3. As my subsequent listening revealed through numerous hi-res sample sessions, I found that Bryston’s a superbly engineered analog path, in conjunction with the AKM chip, proved to be a winning combination. On the Blue Coast DSD download track, Keith Greeninger/Dyaan Kai’s “Just looking For A Home, the BDA-3 punctuated the immediacy and dynamic energy of the minimalist guitar, dobro, and two-vocal recording. On my own stereo 24/384 home recordings of a Taylor custom shop dreadnaught guitar, the Bryston revealed the music with a wide and deep soundstage from the stereo mic’d guitar, The crisp, warm, flat-picked notes and chords rang out beautifully as decoded via the BDA-3, and played through the Rogue Audio RP-5 tube pre. What I like about this AKM-based DAC is its smooth, precision that enhanced the degree of sonic accuracy; no ragged, sonic edges whatsoever. The $4,500 Taylor guitar sounded exactly like it does live. Switching to my 24/192 PCM dub of Film and the BB’s — Tricycle SACD, the BDA-3 dialed in the huge dynamic range perfectly. Though this recording was made in 1983 with an early 16-bit A/D, the BDA-3 delivered the keyboards, bass, drums and sax without the hard-edged coldness of older DACs (and even some modern DACs that are substandard in comparison). On Pop/Rock DSD, I tried several Blue Coast downloads at 11.2 MHz and the DSD reissue of James Taylor — JT album. Using the Macbook Pro and Audirvana Plus playback program, I sampled the Blue Coast track, Keith Greeninger/Dyaan Kai’s “Just looking For A Home.” The BDA-3 punctuated the immediacy and dynamic energy of the minimalist guitar, dobro, two-vocal DSD recording. The DAC’s ability to resolve the intricate detail and instrument space from this song is up there with the best DAC’s I have sampled on the track! On JT, the backing vocals on James Taylor’s hit “Handyman” opened up quite nicely with hi-res, and the low-treble energy of Taylor’s finger picking on his old Gibson guitar is simply gorgeous. Switching to a Classical album in Hi-Res, the 2L String Quartets Vol. III — Haydn - Nordheim - Bartók string hi-res download, the BDA-3 was able to deliver the full string harmonics bloom of the 24/352 DXD-recording with an ease that lets you crank it up to enjoy all that dynamic range. The cello textures, in particular, were vivid and generously spaced. In PCM, the AKM chip is about as easy and smooth sounding as DSD. Old CDs really benefit from the BDA-3’s design; much of the irritating edge of my 1980‘s CDs, such as the Telarc CD: Holst, Handel, Bach: Fennell — Cleveland Symphonic Winds, and the Second Hearing recording of Laredo/Robinson — Duos For Violin And Cello, simply disappeared through the BDA. 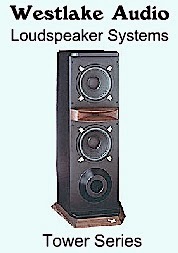 In native mode, the CDs’ audio qualities were impressive through the BDA-3. The “Upsample“ mode, revealed even less strain in the upper midrange and lower treble. 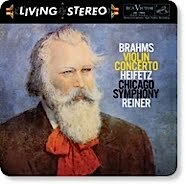 Good articulation — especially on the Second Hearing disc. Dynamic range on both CDs was positively Hi-Res. Many of the old CDs that we thought sounded so bad 30 years ago, sound way better with the latest D/As. Though its in a completely different price range, I did shoot out the Bryston BDA-3 with the $1,000 TEAC UD-503, since they both have the same AKM DAC chip (the Bryston has two). To start out, I played So Real, the title cut of the 2001 DMP recording of Warren Bernhardt — So Real SACD. I have done a 24/192 dub of the entire SACD for enhanced player compatibility, and I used the same track for the comparison between the DACs. 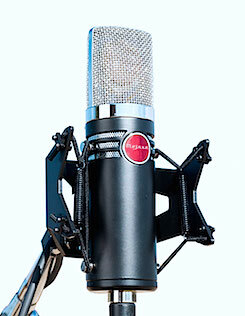 Now mind you, the Bryston BDA-3 costs almost $3,500, and you expect it to be superior. To hear the difference, I used my Macbook Pro Player, connecting its USB output to a USB hub with multiple USB ports. USB cables were then run to each DAC. Wireworld Eclipse RCA cables were connected from each DAC to the Coda preamp, which switches inputs really fast. I matched the TEAC’s output level (using the variable volume control) to the Bryston using a decibel meter and test disc. I then simply sat in my chair played the cut multiple times and switched the DACs via the Coda remote. In my test, the two DACs exhibited the same general tonal character: smooth, yet energetic, and detailed on the “So Real” cut, which has nearly perfect drum cymbal sound. After repeated listenings, however, you could tell the Bryston was noticeably smoother in the midrange and low treble, and a few degrees more of space impression between the instruments. The longer you listen, the more you hear the difference. That sonic space between the cymbals, snare and piano, thanks to the BDA-3’s discrete analog path, was more open and the individual instrument dimension more fleshed out. And, oh, is this DAC quiet. These are the kinds of differences that you can get when a bigger, qualitative investment is made by an audiophile product manufacturer. Often times there are subtle, incremental difference in quality. The TEAC is one of the bang-for-the-buck leaders in a multiple feature/good-sounding DAC. However, the Bryston brings a refinement that suits the higher pedigree. I also routed the CODA output to the Bryston BHA-1 headphone amp, using my AKG K702 Anniversary headphones, doing the same A/B tests. The closeup listening character of headphones showcased the previously mentioned differences even more. I did a similar A/B listening with the Bryston and Benchmark DAC-2-DX, which uses the tried and true ESS 9018 DAC chip, and the recently reviewed Mytek Brooklyn DAC, which uses a ESS 9018K2M chip. 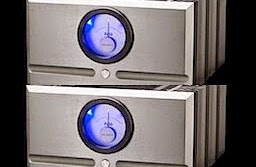 Both DACs are less expensive than the Bryston, about $2,000 for either one. These DACs sounded really good in the A/B comparisons, the DAC-2, which is being replaced by the DAC 3, is slightly warmer than the Bryston and the Mytek Brooklyn is slightly more forward. Otherwise, all three sounded excellent, but the Bryston relayed a precise analog impression that was slightly ahead of the other two. I noticed it more on the headphones, but I could hear it on the speakers to a lesser degree. In terms of audiophile impressions of the BDA-3 beyond its sonic character, the larger chassis of the Bryston exemplifies more of a traditional appearance than the half-rack Benchmark and Mytek DACs, which have their origins in pro audio. Some folks like the bigger pieces of gear. Plus it gives you more room for features, such as multiple HDMI inputs. Speaking of HDMI, I like the BDA-3‘s built in HDMI de-embedder (it has four HDMI inputs and pass through so you can listen to music from a universal/BD player, but still route a movie on to your pre-pro or receiver. As previously mentioned the BDA-3 is a perfect mate for the $1,699 Bryston BHA-1 headphone amplifier. In fact, I pressed the tandem into service for home recording studio editing duties. I connected the DAC to my Macbook Pro via Wireworld’s Eclipse USB cable, using it to monitor the quality of my audio editing work. I made edits with Audacity, Reaper and TASCAM Hi-Res Editor audio programs. I then monitored the edited audio through the Bryston BHA-1 headphone using the AKG K702 Anniversary headphones. Working with hi-res tracks, the Bryston really lets you hear deep into the depth of a recording and subsequent mixes. Any flaws or aberrations can be heard plain as day. Background noise, out-of-phase miking or an overeager post-applied EQ curve will be easily revealed. The Bryston DAC really showcased the image depth of a two-mic stereo X/Y recording of a Yamaha jazz guitar and Fender amp at 24/192. You wouldn't think that two mics and one guitar could produce such a sweeping stereo image, but the BDA-3/BHA-1 tandem revealed that generous soundstage. Overall, as with the previous versions of Bryston BDA’s, I really liked the BDA-3 sound quality. The use of the AKM chip has given the audiophile D/A a smoother timbre, but without losing any detail and realism in the subjective impression of its audio delivery. It really is a highly accurate DAC, without any particular voicing. What you put in is what you get out. The BDA-3 was able to deliver the full string harmonics bloom of the 24/352 DXD-recording with an ease that lets you crank it up to enjoy all that dynamic range. The cello textures, in particular, were vivid and generously spaced. In PCM, the AKM chip is about as easy and smooth sounding as DSD. 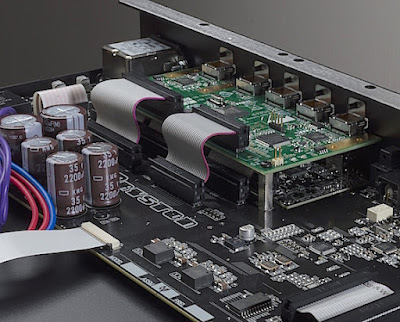 Although it is not the cheapest DAC, the Bryston BDA-3 holds many advantages; it has a slew of connection options and can play any format — including the forthcoming 32-bit integer PCM and DSD all the way to 11.2 MHz. The only BDA-3 review negative was ergonomic: the lack of a PCM word-length (bit) indicator. Audio-playing computers have been known to self-default to 16-bit, or get manually left in the 16-bit mode without the end user noticing. Also, many audiophiles believe that universal disc player SPDIF and HDMI digital jacks output 24 bit, when it is not always true. An on-board DAC bit status indicator, however, will confirm, for real, 16- or 24-bit in an instant. Many DACs now have the bit-status light including Benchmark, Mytek, Oppo and Prism Sound. 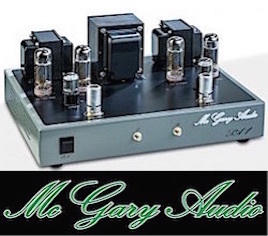 A high-performance, pedigree DAC like the BDA-3 ought to have it. Overall, the Bryston BDA-3 is the best-sounding DAC the company has ever made and is one of the most open, accurate D/A converters on the market. These AKM-based DAC chips are wonderfully precise and detailed, and Bryston takes that digital finesse, and adds its own discrete analog stage, to open up the soundstage. Couple the pristine sonic character with the plethora of connection options, and you got yourself one mighty fine, top-performing DAC. Bryston’s legions of audiophile fans will love the BDA-3 because it has that classy Bryston appearance — a full rack width and that brilliant-looking silver finish option (my favorite). New audio-quality fans will flock to to the BDA-3 because it sounds so darn good. Then once they own it awhile, they will come to appreciate its good looks as well. 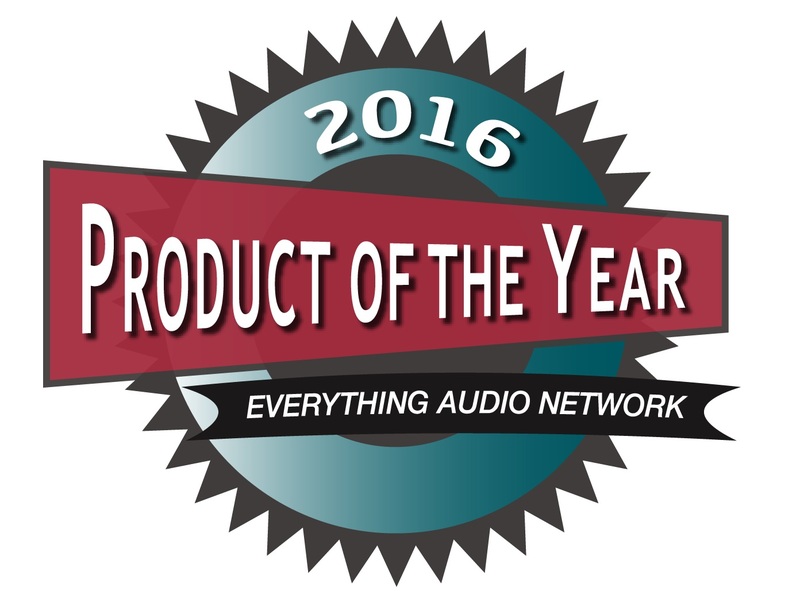 The BDA-3 is an EAN Stellar Sound Award winner and a definite pick for an EAN Product of The Year Award in the DAC category.